A new book on the battle of FRANKENHAUSEN has just been published. Click here for more details. 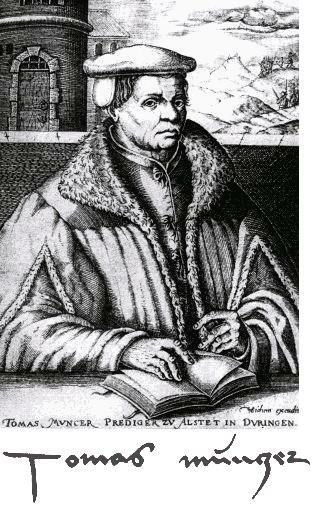 MÜNTZER ON THE WIRELESS! A series of talks on the German Reformation was broadcast by the BBC at the beginning of May: please click here to find out more. To view some points for DISCUSSION, perhaps worthy of debate, please click here. To check for anything resembling NEWS, please click here. For a list of recommended further READING - primarily, but not exclusively, in the English language - go to the Bibliography pages by clicking here. and to go to ANDY DRUMMOND'S HOME PAGE, please click here.